3. 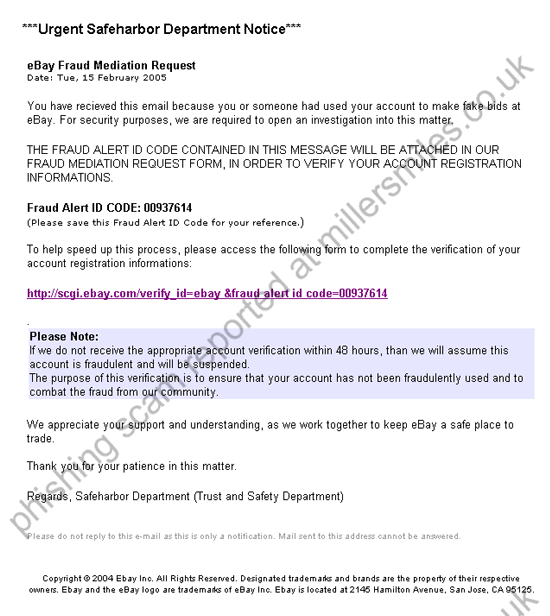 URL of spoof website disguised as " http://scgi.ebay.com/verify_id=ebay &fraud alert id code=x". 5. Website traced to Huntington Beach, USA .